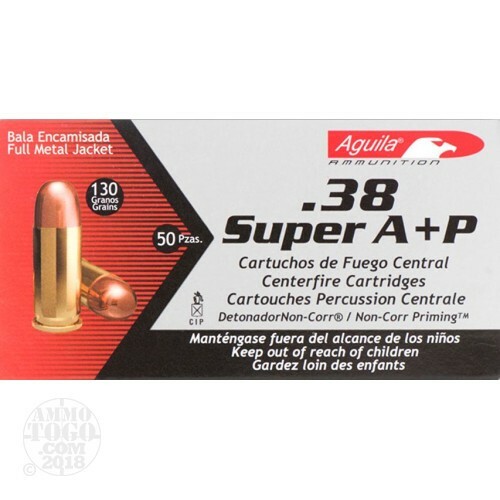 This is Aguila 38 Super Auto 130gr. +P Full Metal Jacket ammo. This ammo is brass cased, boxer primed and 100% non-corrosive. This ammo is manufactured by Tecnos Industrias, which is Remingtons plant in Mexico, and is premium quality ammo. They are the exclusive manufacturers of ammo for the mexican military and police forces. Remington built this factory in Mexico years ago and they continue to produce quality ammo. This ammo is manufactured to military and SAAMI specs. It is packed in 50rd. boxes, 1000rds. per case. What is the Difference Between a .38 Super Auto and a .38 Special? Because of their similar names, these two cartridges are often confused. However, they are very different cartridges, each with unique profiles and statistics. 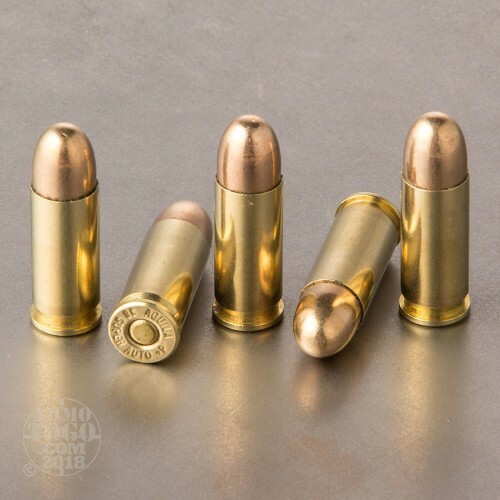 While they have some similar dimensions, the important difference is that the .38 Super was intended for semiautomatic weapons, while most .38 Special ammo was made for a revolver. Therefore, they rarely function ideally when they are interchanged; using one in a gun designed for the other is generally not recommended. Are the .38 Super Auto and .38 Super the Same? Yes. 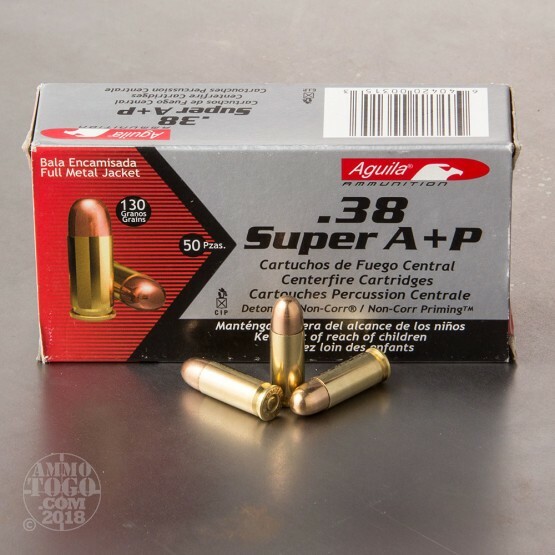 The .38 Super Auto has many different names, including .38 Super and .38 Super ACP. 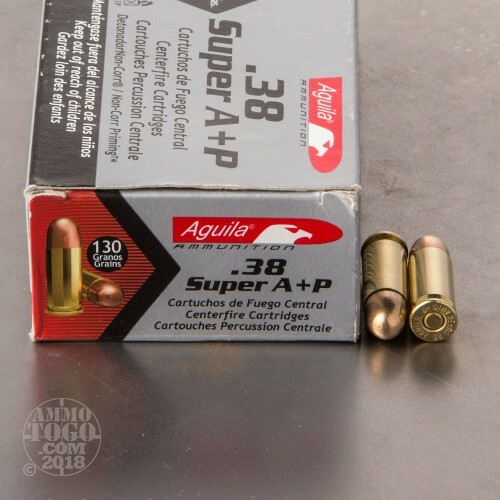 It is sometimes called the “Super .38,” but these are all names used to describe the same cartridge. What is the Most Popular Use for the .38 Super? Competition target shooting. The .38 Super was designed to give law enforcement more power against bad guys, but it has now become one of the staples at elite-level competition shooting. 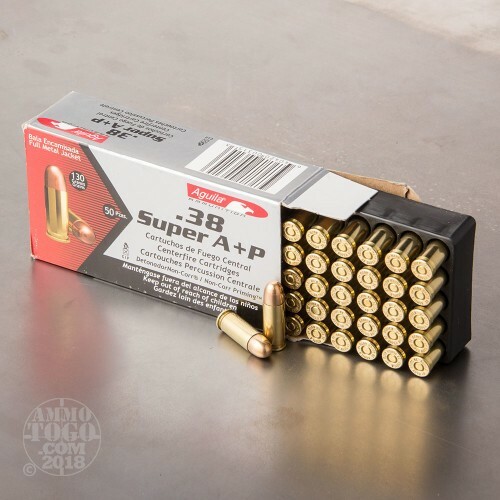 Known for its speed and accuracy, the .38 Super is now a leader at the competition target range, a trend that began in the 1980’s. It’s popular for many reasons, but largely because it is a safe way to have ideal pressures while conforming to the rules of the sport. What Types of Weapons are Preferred for the .38 Super? This cartridge is made for 1911-style automatic weapons. Because of its intentional purpose for this handgun, it remains a popular cartridge for semiautomatic handguns. You can find other weapons, such as revolvers, that shoot 38 super, but they remain fairly rare.